I love black bean soup. This recipe includes roasted miniature sweet peppers and pimento. It makes a perfect meal paired with a salad. To roast the sweet peppers: Slice off both ends, remove the seeds, and cut them in half. Lie them in a single layer on a baking sheet lined with foil and sprinkle them with salt. Drizzle about 1 tsp. olive oil over them and bake them in the oven for twenty minutes at 400 degrees. Remove from the oven and set aside to cool. In a medium saucepan over medium heat, melt the butter and olive oil together. Add the flour and cook, stirring constantly, for about five minutes. When the mixture is golden, bubbly, and smooth, add the tequila and the chicken broth. Then add the garlic, onion, sliced peppers, pimentos, beans, lime juice, and all of the spices. Cook the mixture over medium heat for about thirty minutes, and then remove from heat and let cool for at least thirty minutes. 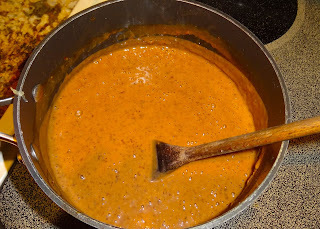 When the soup is cool, transfer it to a blender or leave it in the saucepan if you have an immersion blender that you can use. If you are using your blender make sure the soup is cool or it will explode on you and make a huge mess. For best results, use the pulse setting at first, then blend on low for two or three minutes, until the soup is smooth. 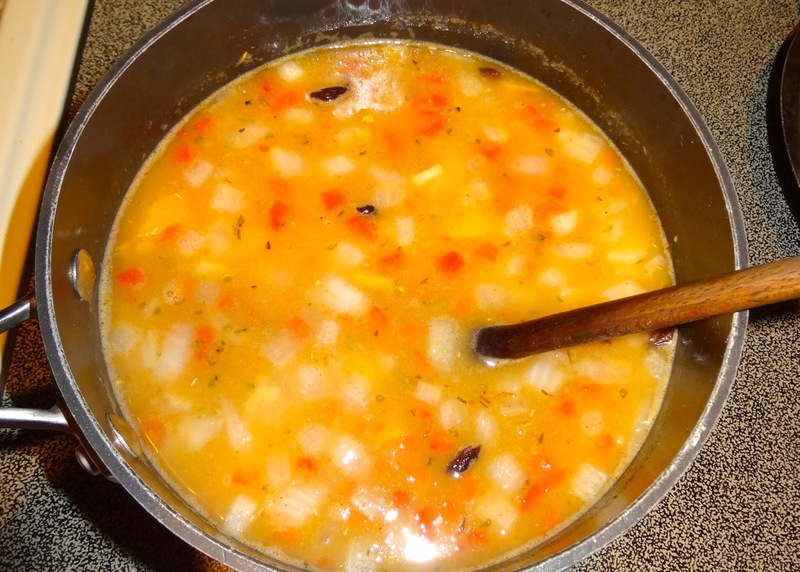 Return the soup to the saucepan and put it back on the stove on medium heat. Add the cream and cook just long enough to re-heat the soup to an edible temperature. Don't forget to season to taste, this soup will need a bit of salt. Top with salsa, and/or sour cream, and enjoy!